The village is 45 km away from the district head quarter. Due to its remoteness and far off distance from the head quarter, it is being neglected by the Government Development Agencies / Departments. The total geographical area is 505.15 ha. Presently there is no drinking water provision for the school. After the implementation of the project a provision of a stand post will be made and school will be able to access water from it. A total of 91 students (girls 40, boys 51) will get benefit from this scheme. 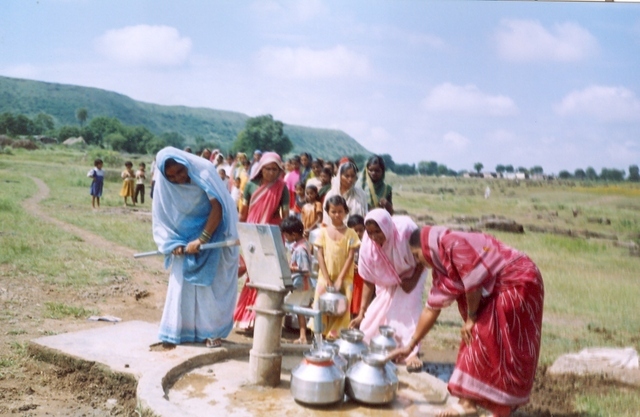 This village has been selected for the watershed development programme since April 2005 by WOTR. So far the Government has not taken steps to solve the drinking water problem except for making a provision of water tanker. Providing drinking water through tanker every year in summer is a temporary solution and irregular too. One can not guarantee that every alternate day they will receive drinking water through tanker regularly and on time. 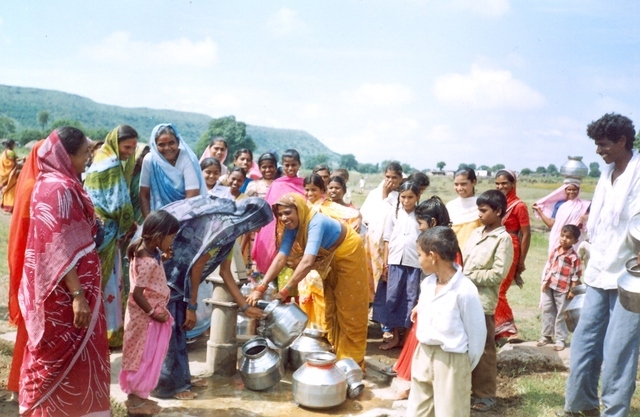 Therefore, the women's Self Help Group have come forward and have taken initiative to implement the drinking water project in their village with the help of WOTR and BPR. The villagers with the help of social map and resource map derived from Participatory Rural Appraisal (PRA) has decided to initiate the proposed drinking water project, and have identified the permanent water-source. It is planned that a new drinking water well will be excavated below the Percolation Tank at about 100 mtrs distance from the village. The well water will be lifted through pipeline and will be stored in storage tank which will be constructed in the village. The water will be supplied through the construction of 10 stand posts. The owner of the land Shri Indersingh Asaram Badure has donated a plot of 2000 sq. ft. to the village community for digging of well. The people are willing to contribute 15% of the total cost. They have submitted all the required documents. The Gram Panchayat (village body) has given no objection certificate to this effect. Please refer word attachment Maintenance revenue Model. Implementing Organization: The partner NGO name is SURABHI. The NGO is associated with WOTR since last 5 years and is engaged in natural resource management and women empowerment through promotion of women SHGs, mobilisation and organisation of village communities through different developmental activities. 1. What is the sustainability of the well as a source? Do we know whether it will strike water. How much and for how long? 2.How about a small storage system at household level to store the water for a day or two? 3. Why is the village not capable of digging the entire well on its own?